Last year I reviewed some Kerrygold butter and it has always been one of my favourites. I recently received a surprise parcel through the post one day. I had no idea I was going to be sent this parcel by Kerrygold so I was overly pleased. I love surprises! In the box was a new book called 'The Tale of City Sue' by Jeanne Willis. Kerrygold have teamed up with children's book author Jeanne Willis. The story is about a cow named Sue who has a lot to learn about the country side of living. Which involves a lot of free roaming and lots of lush meadow grass to eat. The book tells us about Kerrygold's story and how it works with small co-operative farms. "We are thrilled with the creation of our fantastic storybook 'The Tale of City Sue'. 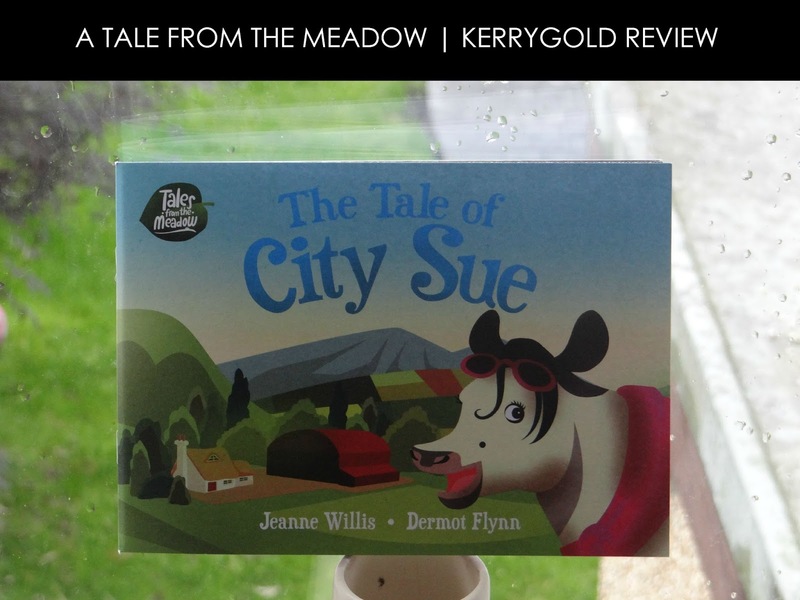 The charming tale perfectly encapsulates the values at the heart of Kerrygold and we really hope that families enjoying reading the charming tale together"